Ms. Chelsea Quijano-Salloman (standing front), Designated Information Officer of DPWH Biliran District Engineering Offices presents the best practices of her district office on the aspect of information dissemination during the 3rd quarterly meeting of Information Officers (IOs) and Community Development Information Officers (CDIOs) on September 18, 2018 held at Naval, Biliran Sangguniang Panlalawigan Conference Room. NAVAL, Biliran – The Department of Public Works and Highways (DPWH) Biliran District Engineering Office (DEO) has strengthen its information dissemination campaign thru extending linkages among Information Officers (IOs) in the Province of Biliran. Initiated by the Philippine Information Agency (PIA) Biliran Provincial Information Office, IOs and Community Development Information Officers (CDIOs) held a quarterly meeting on September 18, 2018 at Naval, Biliran Sangguniang Panlalawigan Conference Room. The objective of the said meeting is to reorganize and strengthen the association of government communicators in Biliran Province. Mr. Rodrigo S. Victoria, PIA Biliran Provincial Information Manager said that there is really a necessity to organize an association of government communicators in the province. “If we don’t have link from one agency to the other, information is distorted and information dissemination is not well-coordinated,” Victoria said. For effective and efficient public information dissemination, IOs and CDIOs came out with a template of a unified and simple flow of communication with an established feedback communication flow. To successfully implement the said process of communication sharing, members of the association has elected set of Biliran Communicators Network (BilComNet) officers. The suggestion of changing the name of the association from Biliran Association of Government Information Officers (BAGIO) to BilComNet was realized to be fair for IOs from the private sectors. 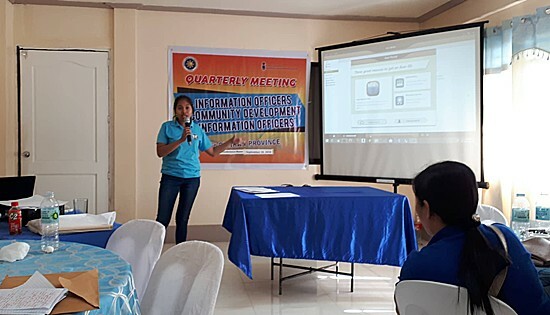 Information sharing among the IOs of the national government agencies, and the CDIOs of the local government units of Biliran Province is one of the highlights during the quarterly meeting. Each IOs, CDIOs, including Chelsea Quijano-Salloman, PIO Designate of DPWH Biliran DEO presented the highlights of the major programs of their respective offices. The information shared is expected to be disseminated by IOs and CDIOs to each respective offices upon returning to their workplaces. Salloman also presented the best practices of her district office on the aspect of information dissemination to give ideas to other agencies on how public communication is shared by Biliran DEO. Part also of the quarterly meeting of the IOs is the discussion of Mr. Victoria on responsible sharing of information and fake news. The discussion gave the participants a better understanding on the topics in which they can apply in their information dissemination job. The gathering of Biliran Communicators is an avenue for building one network for a fast and credible information dissemination in the Province of Biliran. QUEZON CITY – The country' biggest labor group Associated Labor Unions-Trade Union Congress of the Philippines (ALU-TUCP) called on Budget Secretary Benjamin Diokno to retract his statement on a live televised interview implying that Filipino rice farmers can be sacrificed in the fight against inflation. On ANC LIVE, Sec. Diokno said, "In policy, there are winners and losers. There are 100 million consumers. There are 2.5 million (rice) farmers. It’s a no brainer." This was his reply to the ANC anchor when she asked if the importation of rice will negatively affect farmers. "This is not just moral insensitivity but intellectual arrogance of the highest order. It is provocative given the economic difficulties that our poorest people are facing. He is saying "drop dead" to our rice farmers in the name of feeding our people," said ALU-TUCP Vice President Luis Corral. "While he mentioned that there will be a rice (competitive enhancement) fund for farmers, he seemed to regard it as a token gesture to the big losers – our rice farmers", said Corral. ALU-TUCP Spokesperson Alan Tanjusay expressed anger at both the tone and manner of Diokno in the interview. "Our people are now going hungry and have no more money in their pockets. Even if he floods the markets with imported rice and vegetables our people have no money to buy these goods with. And yet Diokno can afford to say that the latest surveys indicating inflation as the top concern of Filipinos as just a mere "impression". He dismisses the survey as just a repetition of previous years' "impression", added Tanjusay. "We warn our economic managers that for our people the price of rice, vegetables and fish are life and death issues. We have to find ways of surviving together as one nation rather than cavalierly and ruthlessly sacrifice 2.5 million Filipino rice farmers in what Diokno earlier described as a "cost-benefit" formula, explained Corral. "We ask the Senate to ensure that the Rice Tariffication bill ensure that the rice competitive enhancement fund (RCEF) be given enough budgetary support to help our farmers survive. No one is speaking for our farmers and their families now. We need to bring up their productivity by helping them organize into cooperatives, go into other crops, acquire modern machinery, shorten and simplify the logistics train. Further we need to ensure farmer management of the fund lest we repeat the sad experiences of the sugar levy and coconut levy which were plundered," said Corral. "On the demand side, ALU-TUCP calls for enactment of the proposed 500 peso monthly cash subsidy from government for 4 million minimum wage earners under SSS coverage. We call this the Labor Empowerment and Assistance Program (LEAP) and is intended to mitigate the economic miscalculations of TRAIN 1, the knock-on depreciation of the peso in the light of the US increase in its interest rates, and the on-going increase in international oil prices," added Tanjusay. "There is a critical need to bridge the gap in the decline of real wages as inflation climbs. DOLE has signalled it is considering a mere pittance of P20. "ALU-TUCP reiterates its call for a substantive wage adjustment to compensate workers for the productivity gains they have brought to the economy, and for patiently waiting for the trickle down from our growing economy. Now that times are hard workers and rice farmers are being made "sacrificial lambs" again. Let’s get our economic policy right for once. Not "losers and winners" but "win-win" said Tanjusay. CARIGARA, Leyte – The Department of Public Works and Highways (DPWH) Leyte Second District Engineering Office advises the public to keep the 20-meter minimum width requirement on national roads. Maintenance Section Chief Francisco Robin, Jr. instructed that there must be proper information dissemination to the public to block the construction of residential, business, or other establishments within the 20-meter parameter to give way for the road right-of-way program. “Let us inform our neighbors to preserve the 20-meter no building zone for the road widening and major flood control projects. Let us altogether help in the dissemination so when the time comes, investments would not go into waste,” Robin said. He added that obstructions within the established “right-of-way” of existing national roads that will be displaced by the projects will not be compensated by the government. The Republic Act 10752 or “The Right-of-Way Act” states that “the government may acquire real property needed as right-of-way site or location for any national government for any national government infrastructure project through donation, negotiated sale, expropriation, or any mode of acquisition as provided by law.” However, this act only applies to new construction or road opening projects wherein the road right-of-way has not been previously acquired. The road widening project of DPWH aims to utilize the burgeoning number of vehicular population in the country which results to traffic congestion. This also intends to cultivate safety among motorists who go to and from places within the region. Magsasaka ng Libongao Farmers Association (MAGSALIA) President Reynaldo Francisco show their one-hectare demo farm after the harvest. According to him, they were able to harvest 73.1 tons of sugarcane, an increase of 28 tons under the sugar block farm. TACLOBAN CITY – “Halos mag doble ang na harvest namo karon!” (“Our harvest now is almost double!”), said Reynaldo Francisco as he excitedly reported their harvest in sugarcane this season in their one-hectare demo farm. Francisco, one of the 29 agrarian reform beneficiaries (ARBs) in the 30-hectare lot once owned by the Jonases, and president of the Magsasaka ng Libongao Farmers Association (MAGSALIA) in Kananga, Leyte, reported that they harvested 73.1 tons in their demo farm. According to him, “MAGSALIA is now the envy of other sugar plantation owners in our town because of our very high return of investment in sugar production”. Before, like other sugar farmers, they could only harvest an average of 40 to 45 tons in a hectare lot. But now, our production nearly doubled because of the Sugar Block Farm Project (SBFP) introduced to us in 2017 by the Department of Agrarian Reform (DAR), Francisco exclaimed. SBFP is one of the projects under the Program Beneficiaries Development (PBD) component of the Comprehensive Agrarian Reform Program (CARP) that continuously provide farmers and farm workers, specifically the ARBs, with the opportunity to enhance their dignity and improve the quality of their lives through greater productivity of agricultural lands. It is in partnership with the Sugar Regulatory Administration (SRA), per Republic Act No. 10659 or the Sugarcane Industry Development Act, as assistance provided to ARB organizations (ARBOs) in sugarland areas where small landholdings are consolidated to achieve economies of scale. In Region-8, MAGSALIA is one of the only two ARBO-recipients of the SBFP. Aside from SRA, DAR also commissioned the services of RU Foundry to provide the technology in sugar production that would lead to an increased income. Francisco disclosed that RU Foundry; which is based in Bacolod City, another sugar producing area; taught them the tractor spike style of planting, which truly gave them higher production. “Tractor spike or clamp technology” was new to them as it was not practiced in Region-8. They were also taught intercropping with crops such as peanut, corn, mongo and white beans, which no one does here. It gave them additional income, Francisco added. They likewise spent less because they use vermicast instead of applying purely commercial fertilizer. The vermicast or organic fertilizer is produced by the association as additional livelihood introduced by DAR. DAR also provided us with the necessary equipment like the 120-horse power four-wheel drive tractor and a 10-wheeler heavy-duty dump truck that are used in the land preparation and hauling saving us from high rentals, Francisco further shared. Instead, our association earn by offering the machines for rent, he added. When asked how much they earned from this season in sugar block farm (SBF), Jimmy Dejon, MAGSALIA Farm Manager, disclosed that their grossed income reached P168,831 from sugar sales (P149,932), molasses (P10,780), intercrop (P3,000) and trucking allowance/incentive (P37,063). 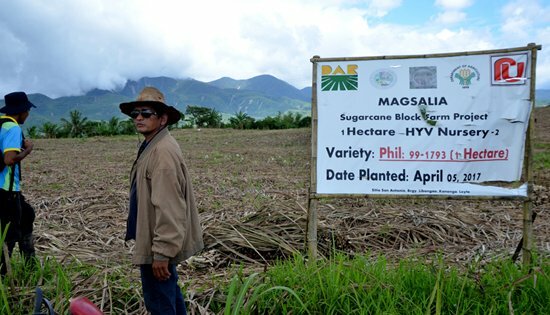 Deducting the P128,768 they spent in their operation from the gross income, MAGSALIA gained P40,063 from SBF on a hectare plantation alone. How much more if the entire 30 hectares owned by the members intended for this project be utilized? That is why, members of the association, who used to earn as low as P1.50 a day as sugar farmworkers in the 70s, are excited to go full blast on SBF. Since the members, who are just ordinary farmers, don’t have the capital, while the association neither could afford to finance the entire operation, MAGSALIA members are now availing of loan under the Agricultural Production Credit Program (APCP) from the Land Bank of the Philippines at 8.5 percent annual interest rate. To other small sugarland owners, Francisco is encouraging them to join their association and double their harvest. MAGSALIA started in 1990 with 32 members only. All of them were ARBs contributing P100 each to form their capital build-up (CBU). Now, the association has expanded to 111 members where 58 are ARBs and with total assets reaching P9.6-million mostly derived from lending, the major service offered by them through the years. Workers of poultry farm DBSN Farm Agriventures decry the criminalization of their legitimate grievances for regularization and proper compensation after they end up in jail for a cyber libel case filed against them by their employer, Mayor Ramon Oñate, Municipal Mayor of Palompon, Leyte. QUEZON CITY – Militant labor group Bukluran ng Manggagawang Pilipino (BMP) today denounced the arrest of thirteen officers and members of the DBSN Farm Agriventures Workers Union after they were picked up Wednesday evening by operatives of the Criminal Investigation and Detection Group. The workers were charged with libel under the Cybercrime Prevention Act of 2012 or Republic Act 10175 after pictures of workers holding flags and placards taken before they left for Manila to hold a camp-out in front of the National office of the Labor department to seek an audience before Secretary Silvestre Bello were uploaded at Facebook. “This is a classic case of harassment. The owner of DBSN could no longer deny the veracity of the accusations of rampant violations of labor standards in his farm as well as the legitimacy of the workers demand for regularization, the Labor department says so,” claimed BMP president and union legal counsel, Luke Espiritu. 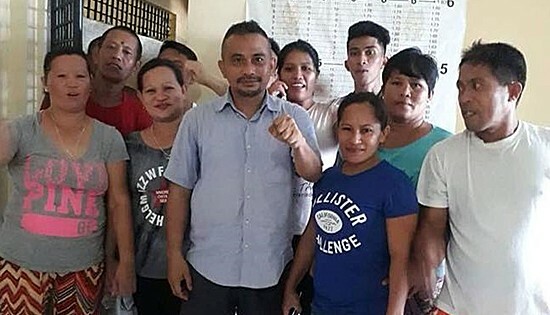 Of the thirteen arrested workers, ten are being detained at Camp Downes at Ormoc City including its union president, Ailieen Claros and spokesperson Josephine Jaballa. The remaining three are held at municipal police station of Albuera. He explained that the case filed against the workers could not constitute online libel since both the DOLE regional office and the National Labor Relations Commission have found the company guilty of gross violation of labor laws and ordered the regularization of its employees, even if the management has filed an appeal before the agencies. Workers at DBSN Agriventures are paid for P285 to work for 15-hour shifts, the regional minimum wage for workers in Region 8 for 8-hours of work, without overtime pay and premium among its many labor standard violation despite being is one of the biggest poultry dressing plants in the country. It was accredited by the National Meat Inspection Service and certified as an ISO company by TUV-Rhineland. “The sub-human conditions of employees and the outright non-payment is already condemnable, to say the least. To add harassment and criminalization to salvage the owner’s ill reputation and multi-billion profits is new low for an ISO-accredited company,” he deplored. Upon labor inspection early this year, the poultry farm was found guilty of: No proof of coverage or remittance of SSS contributions, non-payment of Overtime Premium Pay, non-payment of Service Incentives Leave Pay, non-payment of Holiday Pay, illegal deduction (personal protective equipment such masks, gloves, and aprons, and delivery and transport expenses by boat), non-payment of Night Shift Differential Pay; Labor-only contracting in violation of D.O 174, and non-payment of 13th Month Pay. BMP maintained that the criminalization of labor struggles shall not make the workers cower in fear but will only reap a flurry of protests and ignite labor unrest further. “The right to regular jobs and proper compensation are guaranteed by the constitution and no amount of criminalization could override these rights”. They likewise called on authorities to dismiss the trumped-up charges, free the detained laborers and expedite the implementation of regularization as ordered by state agencies. DBSN Agriventures, the poultry supplier of the Magnolia brand of San Miguel Pure Foods Inc. and Jollibee’s ‘chickenjoy’ is based in Albuera, Leyte and is owned Mayor Ramon Oñate, Municipal Mayor of Palompon town, also in Leyte. NMP seafarer-trainees participate in the series of Lectures-Symposia conducted on 25 September 2018 at the Room 109, NMP Training Building. Mr. Angelo E. Remandaban (Family Welfare Officer of OWWA), Ms. Heidi A. Hosillos (Overseas Workers Welfare Officer II of OWWA), and Mr. Andrew D. Soledad (Information Technology Officer I and Data Protection Officer of NMP) conduct the lectures. TACLOBAN CITY – In line with 23rd National Maritime Week Celebration, the National Maritime Polytechnic (NMP) conducted series of lectures-symposia on 25 September 2018 at the NMP Room 109, Training Building, Cabalawan, Tacloban City. The lectures-symposia was attended by ninety-eight (98) participants composed of NMP seafarer-trainees. Invited Resource Persons were Ms. Heidi A. Hosillos, Overseas Workers Welfare Officer II and Mr. Angelo E. Remandaban, Family Welfare Officer both from the Overseas Worker Welfare Administration (OWWA) Regional Office No. 8 who conducted “Lecture on Financial Literacy for Seafarers”. The lecture was aimed to provide guidance to seafarer-trainees in ensuring that their finances are handled and managed well. It also intended to create awareness and appreciation to the participants on the importance of financial planning and the various savings and investment plans suggestions and ideas. “Cut-down expenses relating to the things you want and retain expenses relating to the things you need” said Ms. Hosillos. She also encouraged the seafarers to avail of the OWWA’s Seafarers’ Upgrading Program (SUP) which is in a form of financial assistance. 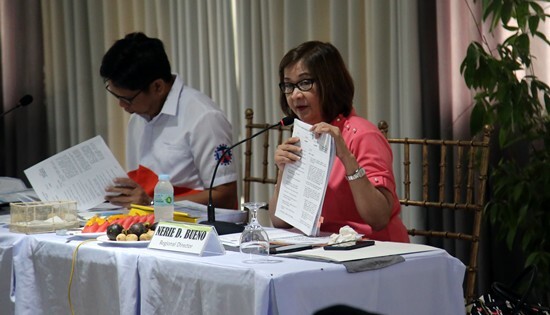 OWWA will assume the costs of training and the beneficiaries will get to choose their preferred training course that are accredited by Technical Education and Skills Development Authority (TESDA) and Maritime Industry Authority (MARINA). Likewise, in order to raise awareness among seafarers of the risks of maritime cyber-attacks and how to avoid them, NMP also conducted a “Symposium on Cyber Security for Seafarers”. Discussant was NMP’s Information Technology Officer I, Mr. Andrew Soledad. Mr. Soledad stressed that implementing effective security measures should be considered as a priority issue considering that vessels, ports, and facilities across the global maritime community are increasingly dependent on cyber systems and in order to ensure that the systems, networks, and programs are protected from cyber-attacks, which may pose significant security, safety and financial risks to shipping and offshore operations. Likewise, as the NMP’s Data Privacy Officer, Mr. Soledad also provided “Lecture on Data Privacy Act”. Salient points of Republic Act 10173, otherwise known as the Data Privacy Act of 2012, was discussed. Said act seeks to protect the fundamental human right of privacy, of communication while ensuring free flow of information to promote innovation and growth. “In this digital age, the Act is necessary and important precaution to protect all forms of information, be it private, personal, or sensitive, Mr. Soledad disclosed. The lectures-symposia were conducted being one of the performance commitments contained in the NMP 2018 Office Performance Commitment Review (OPCR). L-R: Assistant Regional Director Eric Ayapana and Region Director Nerie Bueno during the 9th Regional Monthly Coordination Meeting. CALBAYOG CITY – The Department of Public Works and Highways (DPWH) Samar First District Engineering Office (SFDEO) hosts the Regional Coordination Meeting on September 25 to 26, 2018. In attendance are key officials of DPWH Regional Office No. 8 and heads of the 13 district engineering offices of the region. SFDEO’s District Engineer (DE) Alvin Ignacio welcomes the newly installed Regional Director (RD) Nerie Bueno and presents to her an overview of the District as well as projects implemented and completed for 2018. During the meeting proper, RD Bueno’s priority is to improve region-wide performance in terms of physical accomplishment and absorptive capacity. She also issues various policy directives that will replace outdated systems and improve processes. “We have the potential to be the best regional office, all we need is to follow the right direction towards our goal of becoming an effective and efficient government agency by 2030. I am appealing to you to be obedient in following instructions because we cannot move forward if there is resistance,” said RD Bueno. The planning division of the regional office also announces the breakdown per district of the allocation and projects under the 2019 regular infrastructure program. In line with this, RD Bueno directs the district engineers to complete all the plans and program of works by November 2018 and must be bid out before Christmas of this year. The district engineers also discuss issues and concerns affecting their respective district offices. MAKATI CITY – Senator Aquilino “Koko” Pimentel III filed on September 19, 2018 a Senate Bill that will institutionalize the Pondo sa Pagbabago at Pag-asenso (P3) Program to further strengthen the landmark micro loan program of President Rodrigo Duterte that will provide relief to micro enterprises through alternative source of financing. 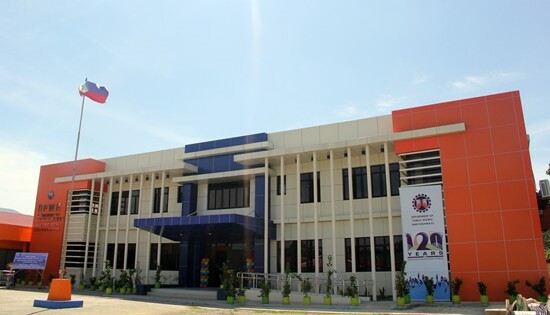 CALBAYOG CITY – DPWH Samar First District Engineering Office (SFDEO) completes the construction of the of a two-storey DPWH District Engineering Office building located inside the SFDEO compound at Brgy. San Policarpo, Calbayog City. The inauguration is part of the 2-day itinerary visit of the newly-installed Regional Director Nerie Bueno. After her inspection of the district’s projects along the national highway, she graces the blessing of the new building. The P30 million project is in accordance with Department Order No. 81, series of 2012 which provides for a new uniform design that will easily identify DPWH buildings. The plan maximizes the use of the lot area providing ample parking spaces for both employees and visitors as well as meeting the necessary office space requirements. The new building is in line with the District’s policy to continuously improve the delivery of services. “This inauguration of this new building is an important milestone, through the new design, we are able to achieve complete organization, cleanliness and standardization which is directly related to the improved productivity of our employees, thus resulting to a higher work which will greatly benefit our stakeholders. We are grateful that RD Bueno was able to attend this event,” said District Engineer Alvin Ignacio.